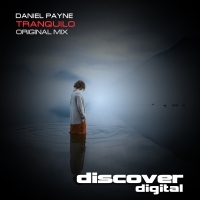 Daniel Payne is next up on Discover with the excellent Tranquillo - a lush trance masterpiece for those moments when only the very best uplifting trance will suffice. Melodies flood the tune from the very beginning together with subtle key changes and warm production. For a track that gives so much in the build up, you have the feeling that the breakdown is going to be more than a little bit special, and it does not disappoint. Haunting piano lines, ethereal chords and a huge main riff pull everything together in what is an unashamedly massive production. Great work from Daniel Payne! 'Tranquilo' is available now from Beatport and iTunes.